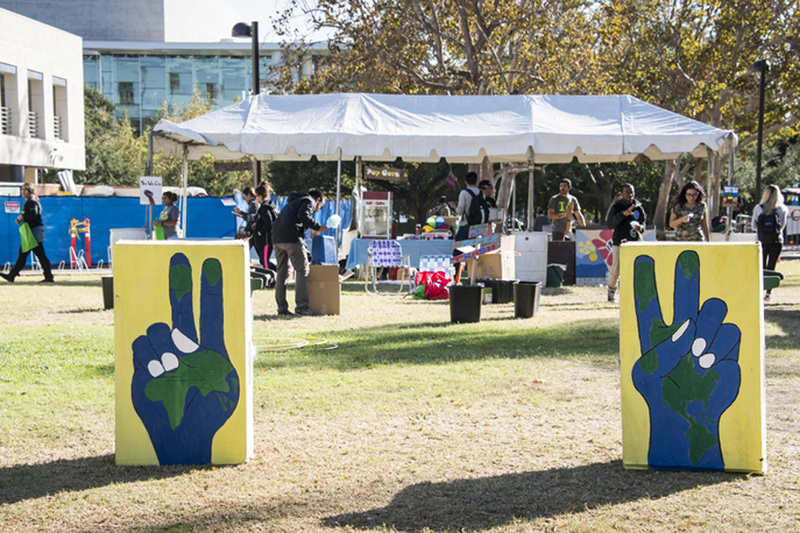 America Recycles Day is an annual event put on by CSUN's Associated Students Recycling and Sustainability Services. Photo by David Hawkins. A student plays one of the many carnival games available at America Recycles Day. Photo by David Hawkins. 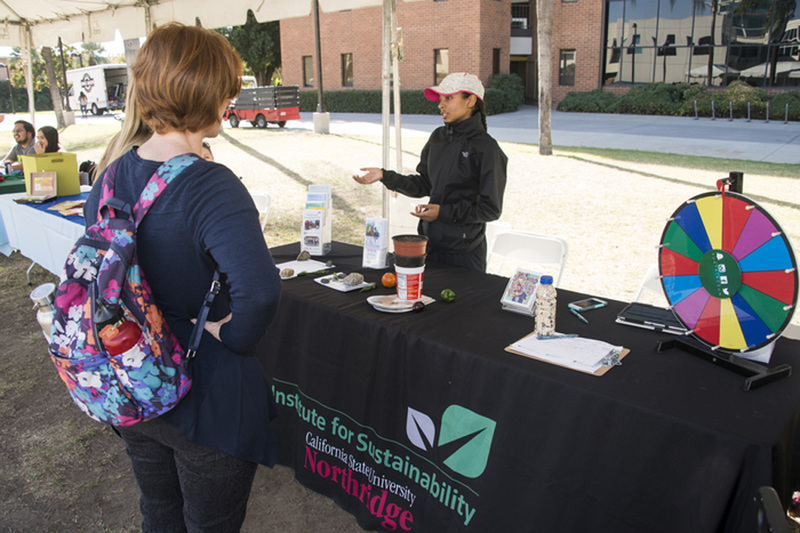 Members of CSUN's Institute of Sustainability talk to students about various sustainable techniques. Photo by David Hawkins. 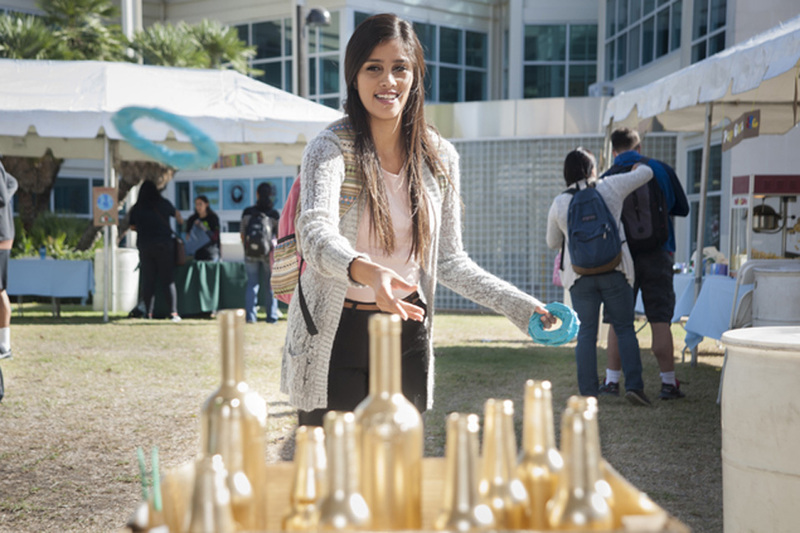 A student tosses a ring over the bottle in an effort to win a free prize. Most of the prizes, such as notebooks, were made from recycled material. Photo by Luis Garcia. Members of the outreach team hand out cotton candy to attendees. Photo by Luis Garcia. Associated Students Sustainability and Recycling Services at California State University, Northridge hosted its annual America Recycles Day at the Bookstore Lawn in order to inform students about the importance of keeping the campus and community clean. The Associated Students outreach team gave away several free items such as pens and highlighters, which were made from recycled bottles, as well as notebooks and sticky pads, which were made out of recycled cardboard and paper. The purpose of this, according to recycling outreach lead Basille Jimenez, was to show attendees the types of things that could be made with minimal waste products. 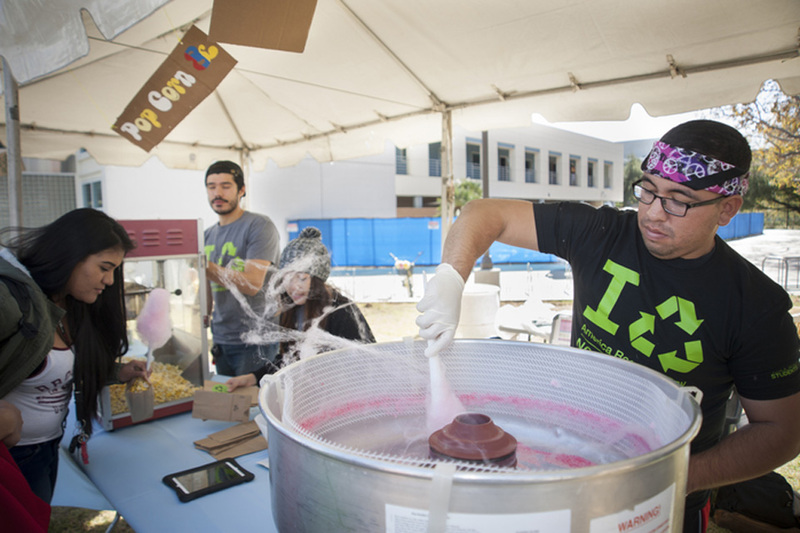 Students were also able to play carnival games and enjoy free popcorn and cotton candy as well. Other sustainable campus organizations such as the Institute of Sustainability had information booths available so people could learn more about various recycling techniques. 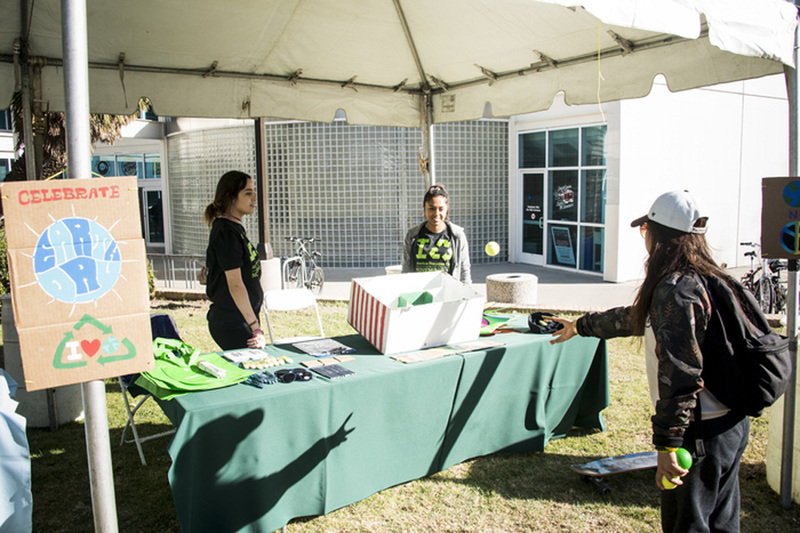 “We just want to get people interested in sustainability and keeping the campus clean,” said outreach team member Cassandra Kopelson. “Recycling is something you have to think about. It’s not that hard – it’s just like breathing. For more information, visit the Sustainability and Recycling Services website.